South Australian defence advocacy body Defence SA has implored the federal government to release figures detailing how much of the $89 billion Future Submarine and shipbuilding defence programs SA will receive amid confusion over prior commitments – sparking a fiery response from Minister for Defence Industry Christopher Pyne. 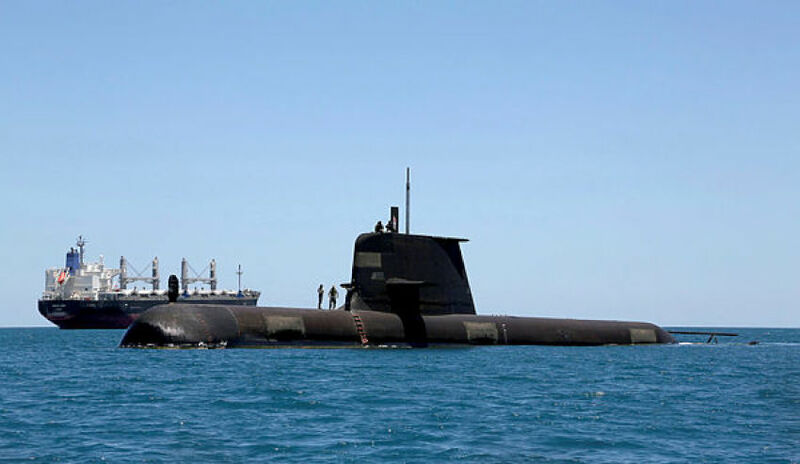 Defence SA and key ship building firms have claimed that SA will receive only a small portion of the submarine and shipbuilding spend – and have urged the federal government and Minister Pyne to reveal exactly how much work will be undertaken in the state. There has been a general expectation that SA would receive the lion’s share of the domestic spend associated with the Future Submarine and other shipbuilding programs, including Future Frigates, however long-term sustainment work has fallen into a grey area – with Western Australia and NSW slated as potential hubs. Sustainment work is expected to account for 70 per cent of the project cost associated with these naval programs, according to Defence SA. The naval shipbuilding plan, which SA Senator Nick Xenophon labelled as "somewhat elusive" during a parliamentary inquiry yesterday, consists of plans to build 12 Future Submarines, nine Future Frigates and 12 Offshore Patrol Vessels (OPVs) – two of which will be initially built in South Australia. While the federal government has consistently affirmed its commitment that the submarines, frigates and the first two OPVs will be built in South Australia, Defence SA has claimed it will potentially only receive a fraction of the overall program spend. WA is aggressively vying for a role in the sustainment of these programs and also making a play for a bigger part of the construction phase – with WA Defence Issues Minister Paul Papalia saying that SA may not be capable to deliver. In its submission to the Senate economics references committee tabled yesterday, Defence SA said, "Much of the current public and media commentary is creating the false perception that all of the economic benefits will be delivered to South Australia." Defence SA said other states are likely to receive a bigger portion of the investment than SA, predicting a much lower percentage than originally outlined by the federal government. For practical reasons, according to the Defence SA submission, through-life support work is conducted as close to the fleet base as possible, most likely in WA and NSW. "We can hypothesise that only 10-15 per cent of the total cost of ownership of a naval vessel would be expended in South Australia," Defence SA said. Minister Pyne has hit back at the Defence SA claims on Twitter, labelling the figures as "rubbish" and "#fakenews". "This story is complete rubbish. Defence SA have no knowledge or involvement in this process," Minister Pyne tweeted. "Subs and ships will be built in Adelaide! More Xenophon scaremongering. "South Australia will be building submarines and frigates, creating over 5,000 jobs. It'll be a national effort but focussed on Osborne."